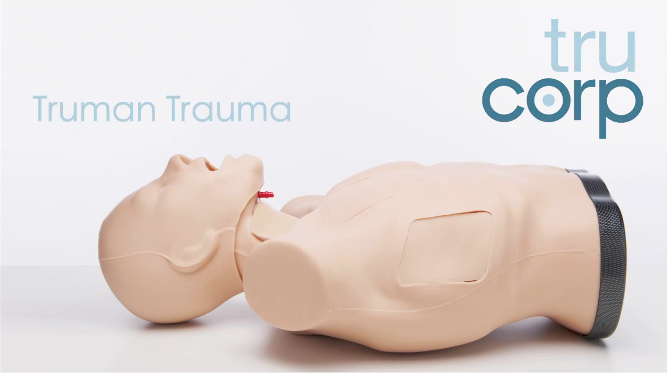 TruCorp® has designed the Truman Trauma System for teaching medical professionals the necessary skills for dealing with a range of life threatening trauma situations. 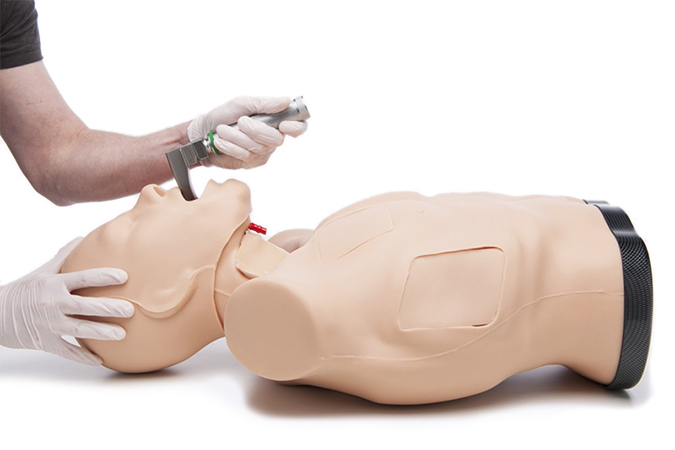 Techniques which can be practised on the TruMan Trauma include; chest tube insertion, needle decompression, CPR, airway management, needle and surgical cricothyroidotomy and percutaneous tracheostomy. 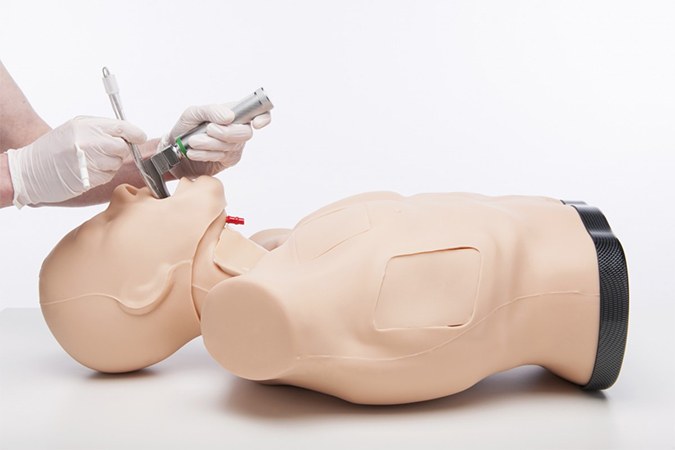 The Truman Trauma System provides an anatomically correct simulated human torso together with the renowned AirSim® head for training the full range of airway management and resuscitation skills. The Truman Trauma System features replaceable tissues which help provide each trainee a lifelike and unique surgical experience. The Truman Trauma System features replaceable tissues which help provide each trainee a lifelike and unique surgical experience.